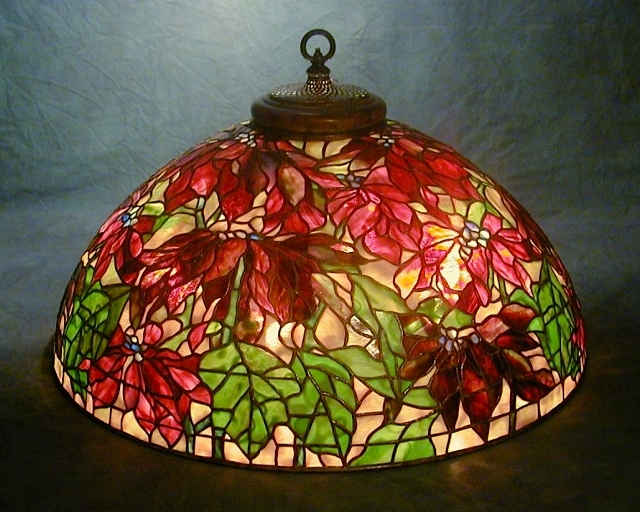 The 26″ Poinsettia makes an impressive chandelier fixture or can be used as a floor lamp on the Sr. Floor of Bamboo Sr. Floor bases. This striking shade is covered in lush red and green foliage set against a rich golden background. 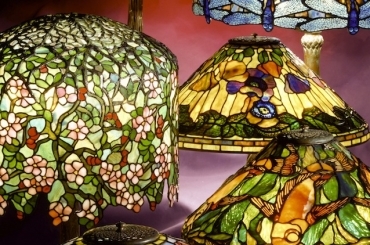 The shade This lamp was commissioned in 2005.